Tentworld: Best method for storing meat while travelling! Best method for storing meat while travelling! 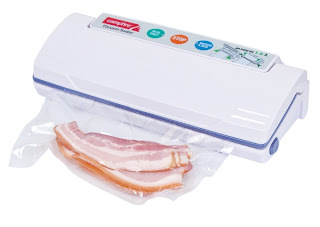 The most convenient and effective method of storing meat safely when traveling and camping is by using vacuum sealed meat packs sometimes known as cryovac (a brand of vacuum sealer). This meat can safely be kept under refrigeration or in the icebox, which is much more power efficient than freezing your meat. TIP: Vacuum seal your meat into single meal sized portions. What camping trip can be without a BBQ! 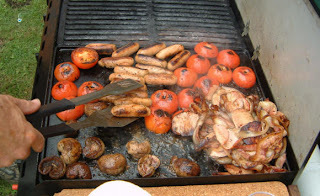 FOR MORE INFORMATION ABOUT HOW TO PREPARE YOUR MEAT FOR CAMPING CLICK HERE. How long will my meat last when vacuum sealed? 'Fresh Red Meat: To maximize the product life of meat (beef or lamb), it should always be stored in the fridge (below 5°C) where it will maintain its freshness. It is ideal to use primal vacuum packed meat between 2-6 weeks of age from the packed on date. Ground/Processed Meat: To maximize product life store ground meat in the fridge. Properly vacuum sealed ground meat should last for 1-2 weeks from its packed on date. Ground and processed product can be frozen and used 6-12 months from the date of freezing. How do I get my meat vacuum sealed? Many butchers will vacuum your meat for you for a small charge using their commercial strength sealers. Alternatively, there are vacuum sealers available that are affordable and suitable for residential use, that will do all but what the commercial machines will. The Campfire Vacuum sealer is a great vacuum sealer for use in the house. Why Vacuum Seal your meat? 'Vacuum Packed Meat has a longer storage life than fresh meat because all the air is removed from the packaging before the package is heat sealed, thus retarding microbial growth and retaining flavour, freshness and tenderness. How should vacuum sealed meat be prepared for cooking? How do you keep your meat fresh when camping? Let me know in the comments below!